The title of my post today comes from a Marty Robbin’s song ~ “A White Sport Coat and a Pink Carnation.” (You can listen to the words by clicking on the link!) It’s a song of a young man dressed up for the dance, but his date, whom he asked long ago to go to the prom, changes her mind and now he’s blue. During the month of May, I’m sure there are lots of young people preparing for this big dance. Do you remember your first Prom? I do. I made my dress, white Dotted Swiss covered with flowers (yes, I was a flower nerd back then too!) I had my hair done in French Curls and my date brought me a corsage with pink carnations. 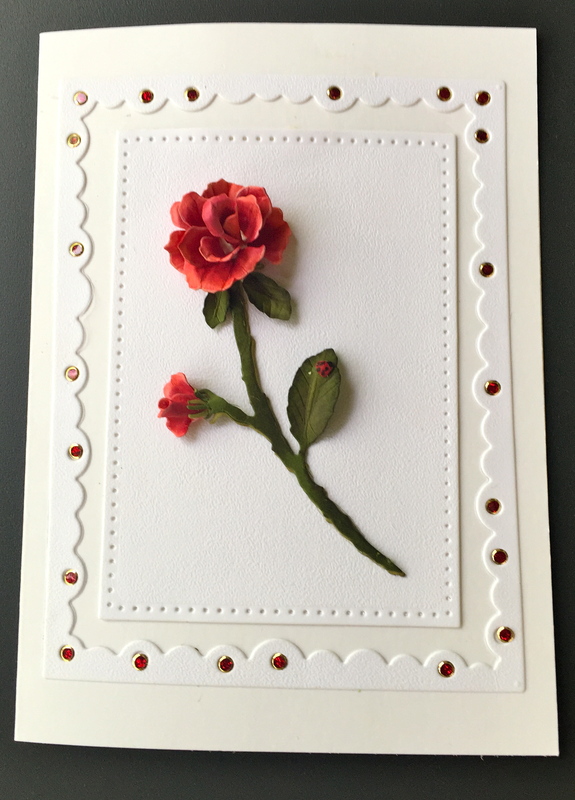 The card I designed today, brings back that memory. I used Elizabeth Craft Designs “Lots of Dots” embossing folder on Soft Finish White 100 lb. card stock (for my Dotted Swiss dress) and Els van de Burgt Studio “Bead Strings 2” die cut in the same card stock, then shaded with Distress Inks to represent crepe paper streamers that we decorated the gymnasium with. 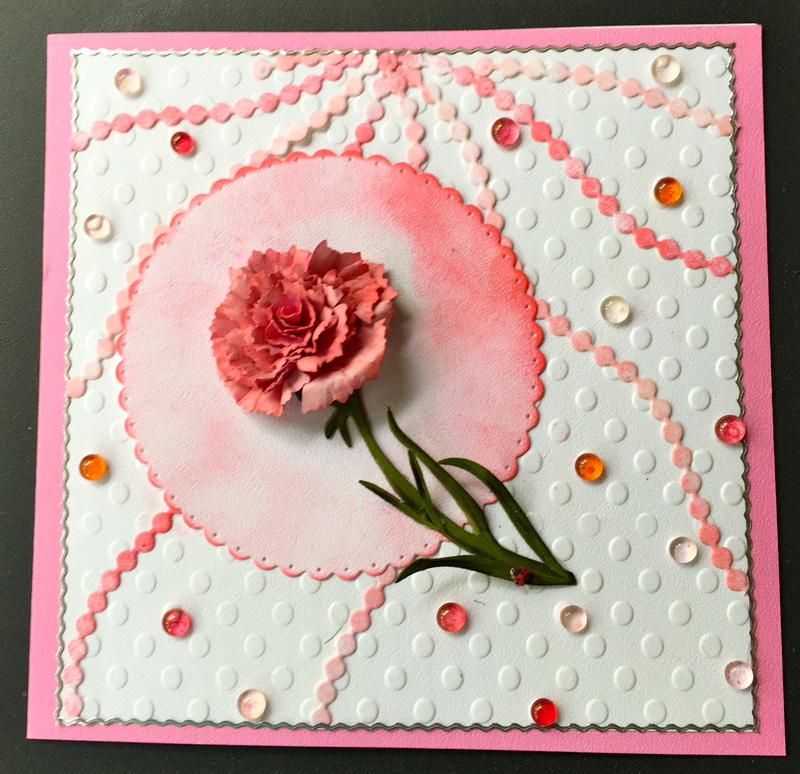 A few Robin’s Nest “Drops” of pink adds the sparkle that the night held…and then, there’s the Pink Carnation, one of my new Garden Notes that will be available shortly. I’ve stepped out how easy it is to put this flower together and hope you find some inspiration to make some memories of your first dance.